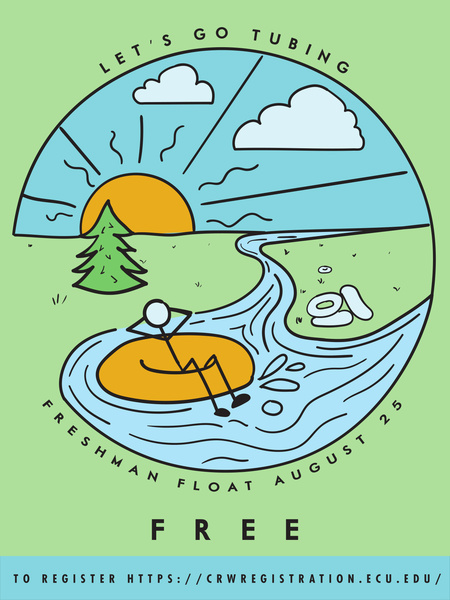 Calling all freshmen! What's a better way to welcome the start of your college journey than adventuring down the Cape Fear River in tubes relaxing? Join us for this free trip to make new friends, explore a new part of North Carolina, and enjoying some of the best things the Adventure Program has to offer! You must be a member of the East Carolina University Student Recreation and Wellness Center in order to attend this event. If you are a member, you are allowed to bring one guest per event. That guest does not have to be a member to ECU’s Student Recreation and Wellness Center.